tools. One of the essential tools for bald guys is a high-quality electric shaver. A regular shaver such as the manual type may not do the trick. You should invest in a good shaver that brings out the best in you. We are here to ensure that you achieve this by discussing some of the top leading electric savers in the market. Apart from reviewing them, we will also guide you on what you should focus on when purchasing an electric razor. Let us kick off our discussion with a summary. Enjoy! Though most men use their beard shavers to eliminate hair on the head, it is not the best option. Facial hair is different from the hair on your scalp. You should choose an electric shaver that is designed explicitly for your scalp to get better results. Philips Norelco is an international brand that is known for producing durable electric shavers. Your package includes different items including a cleaning brush, hair clipper, mirror, bald attachment and pouch for storage. You can turn the head of this electric shaver in different angles. The rotating head lets you trim your hair as you follow the contours of your head. You only need to choose a particular angle and shave the entire head. The2d combs also make it easy for you to shave the head. Shaving requires precision, and the balder attachment of this brand lets you achieve this. You can also shave your head comfortably without worrying about making inaccurate cuts. Clip the balder attachment to the shaver to use and press a button to detach it. The head groomer also features a zoom-ring that you can easily adjust. It is an in-built feature that enables you to adjust different length settings. It also contains quality blades that are made from stainless steel. The manufacturer ensures that they are always sharp so that you don’t have to keep on lubricating them. Sharp blades also make it easy for you to shave long hair within a short period. The blades have rounded edges that are friendly to the skin. Another advantage of electric shavers is that they offer different cutting lengths that range from 1-15 mm. The additional comb also provides extra length increasing convenience during shaving. The shaver is a cordless type that comes with lithium-ion battery. You only need to charge it for one hour and run it for another hour. The shaver has an indicator that alerts you when the battery is low. You, therefore, don’t have to worry about running out of charge as you shave. It also has a universal voltage support meaning you can charge it from, anywhere. 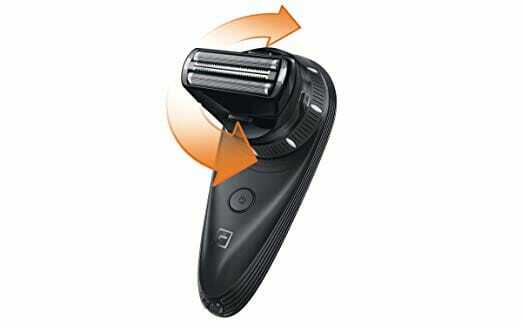 Philips Norelco is a durable electric shaver that you can use for years. It also comes with a 2-year year warranty that you can use if a part is defective. The numerous features of Philips Norelco make shaving a comfortable and quick process. Are you tired of shavers that take a lot of time charging? Consider purchasing this brand which offers a strong battery performance. It charges fast so that you can spend more time shaving than charging. The battery system can last for at least 50 minutes. The LED indicator lets you know when to charge the shaver. The manufacturer equips the shaver with effective shaving technologies that increase its performance. It is a respectable brand that excels in producing high-quality digital appliances. It is a low budget shaver that gives you value for your money. Philips Norelco offers versatility in that it cuts both short and long hairs. Unlike shavers which have difficulties with contour adaptation, Phillips flexes its heads for them to adapt to the curves of your head and face. The heads are designed to bend automatically while cutting hair near the neck preventing you from razor burns. The pivoting heads are patented to give you a comfortable shaving experience. You don’t have to get concerned about flat hair remaining behind. The dual blade action easily lifts hair so that you can cut below the skin level. The shape of the heads also offers skin protection. You should make sure that you replace the shaving head every year to prolong the lifespan of your device. Thanks to this seal, you can either dry-shave your hair or use gel on it. Some people prefer using foam or shaving powder to get maximum skin protection. It is the mechanism that makes the shaver waterproof. This is one of the safety features that protect you from electric shock when the device comes in to contact with water. It also makes the shaver easy to maintain since you can clean it under a running tap. Make use of the available cleaning brush to get rid of hair that sticks under the blades. Feel free to use some hot water while cleaning the shaver. You can also disassemble some of the parts during cleaning then assemble it. Use a storage cap if you have to store it in a drawer. Your hair grooming routine should include shaving not only your hair but also the mustache and sideburns. The pop-up trimmer ensures that you achieve a clean shave on other areas such as the goatee. If you have sensitive skin, irritations from shaving can be a thing of the past. The brand is equipped with skin protection system to eliminate such problems. What makes this brand stand out among electric shavers is that you get more than you pay for. It works as the manufacturer advertises it. It also makes shaving a quick and comfortable process. You don’t need to keep on replacing blades quickly. Your purchase also comes with a two-year warranty. It leaves your head looking clean and prevents you from skin irritation. It, however, lacks some features such as a cleaning dock. If budget is your greatest concern, you should choose this brand. Electric shavers from Panasonic are well known for their innovative technologies. They make shaving easy and comfortable. 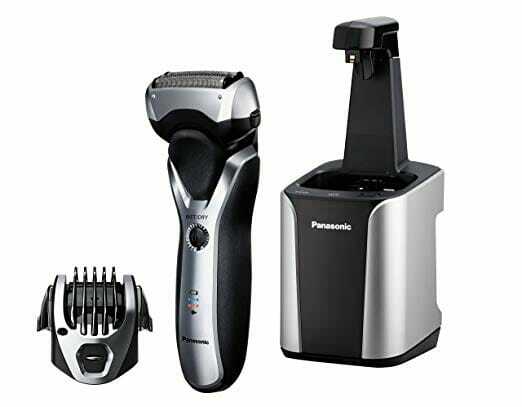 Panasonic Arc 3 is an efficient shaver that every man who prefers a bald head should own. The numerous features of this electric shaver can help you enjoy your shaving experience. The box features a charging cord and trimmer attachment. The shaver contains ultra-thin nanotech blades that are super-sharp. They can capture the hair from the skin surface to increase precision. Stainless steel is used to make the blades so that you don’t have to worry about the shaver developing rust. The material is also perfect for men with sensitive skin. At the back part of the shaver lies a slide-up trimmer that you can use to work on your sideburns and mustache. It is angled to offer high precision. Panasonic brands also feature micro foils that curve smoothly to avoid cuts or irritation during shaving. It also has a pivoting head that glides easily on problematic areas such as near the neck. The problem with some shavers is that they contain weak motors that affect their performance. This electric shaver has a powerful motor that makes it durable. It does not produce unnecessary noise during shaving. You can also clip on the comb attachment which features five settings. The comb attachment increases flexibility since it makes it easy for you to trim hair in varying lengths. One of the most crucial aspects when looking for the best electric shaver for the head is the design. Panasonic brands have a lightweight and ergonomic design. The grip is made of rubber to give you a steady grip during shaving. Wet shaving can be problematic if the grip of your shaver is not secure. It is also waterproof to help you shave with or without shaving foam. You can even shave some of the hair as you shower. It is both a body and chest shaver. You can also use it to shave the neck and face. This makes it economical since you don’t have to purchase an extra shaver. Panasonic arc 3 comes with rechargeable lithium-ion batteries. It is a cordless machine that eliminates the need to rely on an electrical outlet. It does not take too much time charging. On a full charge, you can use it for about 50 minutes. The LED lights can easily tell you about the status of the battery. They notify you when it needs to be charged. This prevents any inconveniences especially when you are in a rash or traveling. Cleaning shavers is a challenge for some men since they find it tedious. This shaver has an automatic charging and cleaning station that makes cleaning easy. You only need to place the shaver in the cleaning station after shaving. It cleans it, dries and charges it without relying on a manual interface. It is a quick and effortless process. You, however, have to give it enough time for the battery to charge fully. The availability of a warranty is a clear indicator of how good or bad the product is. This electric shaver offers a 2-year warranty. You can return the shaver if you notice a defective part within thirty days after purchasing it. The trial period and warranty show that the manufacturer is confident with the brand. Switch from manual shavers to this electric type and enjoy the versatility of this brand. Most users of Panasonic Arc3 report that they never experience any significant problems during shaving with it. The useful features of this electric shaver appeal to many men. It also comes at a reasonable cost. Shaving is more than merely getting a hair cutter. A balding clipper is working better than other shavers since it offers smooth shave and close cuts. It can make a significant impact on how you have been shaving. 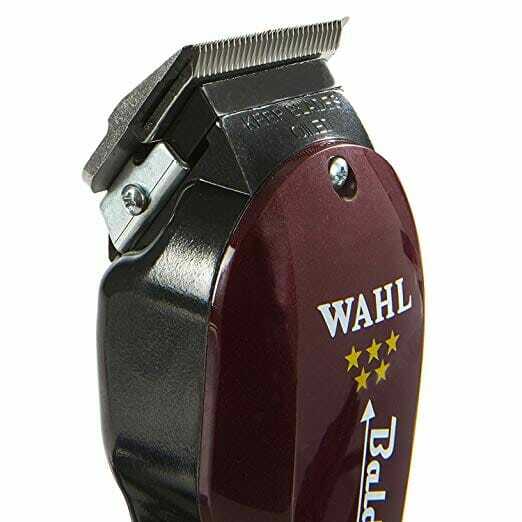 One of the best hair clippers for men who like the bald style is Wahl professional five star. It not only stands out in aesthetics but also performance. The sturdy balding clipper weighs about I pound. Though it may seem cumbersome, it has an ergonomic design that makes it easy to handle. The package includes some clipper oil, blade guard, cleaning brush and manual for beginners. You, however, need to buy extra oil since the cutters need oiling after every use. Unlike other electric shavers, the motor of this balding clipper is super-powerful. It contains an electromagnetic motor which improves its performance. The problem with motors from Wahl’s is that they have heating issues, but this model remains cool. The motor of this brand outperforms a lot of pivot motor clippers. The unique blades of this clipper do not require additional attachments to cut hair. They are made from stainless steel and cut both long and short hair. It is a professional machine that leaves your scalp feeling smooth and looking great. You have to be careful with the sharp blade to avoid nicking the skin. The blade may cause a cut on the scalp or blood gushes if not handled properly. Take your time and don’t rush while operating this machine. You don’t need to apply a lot of pressure. Ensure the hands remain steady during shaving and be patient to avoid harm. Unlike some electric shavers, this brand lets you shave quietly. Though it is not soundless, the modest levels are impressive. It also operates making minimal vibrations. This allows you to make close-cut shaves for you to achieve precision and minimize injuries. If you have some experience with electric razor and need an upgrade, choose Wahl professional shaver. It provides surgical precision that you may not get from other types of shavers. Most barbershops in the US select this option due to its functionality. The problem is that you need some expertise to operate it correctly since it can cause injuries in the wrong hands. It is, however, a powerful and useful tool to maintain a bald head. Unlike other electric trimmers, this needs constant maintenance. You should oil it after using it so that the blade does not start snagging. Go through the instructions to learn more about how to operate this balding tool. You can even get a demonstration from the retailer if you need it for home use. Some retailers offer a trial period for you to test out the product and determine if it is the right one for you. Ensure you get a warranty for this brand. Why do you need an electric shaver? Men have a lot of options when it comes to how they maintain their hair. Some people choose different options such as single edge razors, beard trimmers, and cartridge-based razors to eliminate both facial hair and maintain the bald look. Despite the many options, electric shavers should be your only choice due to different reasons. First, they help you save time, especially in the morning. You can use five minutes to trim your hair and sideburns. An electric shaver is also mobile and easy to travel with. Unlike the other types, you can use this machine even if you forget to purchase a shaving cream. Dry shaving is always an option when you are using an electric shaver. They also accommodate people with sensitive skin due to the option of wet shaving. Some of them contain safety features such as a travel lock to avoid turning it on accidentally when you are on the move. They also prevent your skin from irritation. Both foil and rotary electric shavers cut the hair from the follicles, thus, providing a comfortable and clean shave. You don’t have to leave the machine to charge for long since electric shavers provide the quick shave option. Unlike other devices, electric shavers offer a close shave on areas that are flat such as the neck. They also do no limit you to shaving the head only. You can use an electric shaver to get rid of hair on your legs and even chest. Ladies also use these machines on the legs. Apart from skin irritation, shaving exposes you to other issues such as cuts or nicks. These problems are more prevalent on people that choose options like double-edged razors than those that use electric shavers. These shavers are safe to use regardless of your skin type. All these factors are compelling enough for you to add electric shavers to your morning routine. Are you new to electric shavers or would like to update from an old version? Getting the best electric shaver for the head can be difficult due to the numerous options available. You, however, need to know the right features so that you can narrow down the options to a few brands. Use the criteria below. Some top leading brands in the market of electric shavers include Panasonic, Wahl, Philips, and Braun. 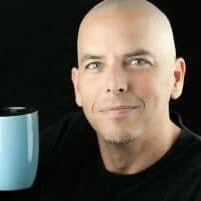 Shaving your head can be an enjoyable experience if you choose a shaver from a reputable brand. Though personal preference has something to do with your choice, you should research more about different brands. Go through other people’s reviews to try and find out which brand has a lot of positive reviews. Other people’s views can help you make an informed decision. Also, know something about the reputation of the company and how well it is recognized. Electric shavers also come in different categories including foil and rotary. If you like short hair, you should consider buying a foil shaver to maintain a close shave on a daily basis. Such a shaver has a metal foil which covers the cutting blade. You can also use a foil electric shaver to maintain the beard. Men with sensitive skin should also choose foil shavers since this type is less harsh compared to rotary shavers. It can prevent you from a razor burn. For sensitive skin, you should use proper shaving techniques and choose the right foil electric shaver to protect your skin from irritation. The problem with foil electric shavers is that they come in a rectangular design that makes it hard for you to shave areas such as the nose or chin. You can still achieve a close shave over such areas using this type of shaver by passing it over them a few times. If you have long hair and don’t intend to shave it on a regular basis, you should choose the rotary electric shaver. This comes with three rounded heads that move in circles. You can also use such a shaver on a medium coarse density. It is ideal for men with tough skin. While some electric shavers depend on electric outlets, others are cordless since they come with rechargeable batteries. The charging system you choose should match your lifestyle. For instance, if you travel a lot, you can maintain a clean shave easily by selecting a cordless electric shaver. Rechargeable shavers are convenient since you can use them from anywhere. If you go with this option choose one that has a good battery life so that you don’t keep on charging it frequently. The corded types also exist, but they are not the best since they can be limiting and unsafe. Some electric shavers make dry shaving an easy operation. Others provide both options making it easy for you to decide when to wet or dry shave. Feel free to use shaving gel to avoid skin irritation during wet shaving. You can also get a shaver that you can use while bathing to eliminate hair on some parts. To know the difference, go through the instructions provided by the manufacturer before getting the shaver wet. The care of trimmers is a crucial aspect that can help you save on expenses. You have to determine how much maintenance a shaver needs before purchasing it to avoid mishandling it. Most shavers should be cleaned on a regular basis. Manual cleaning may be time-consuming, but it is cheaper than automatic cleaning. If you have a busy schedule, you can choose an advanced model that has an-inbuilt cleaning system and charging station. Such models handle automatic cleaning without needing extra maintenance. You only need to place the shaver in the base unit and let it self-clean. For this option, you have to purchase an extra cleaning fluid even if the manufacturer provides some. You should also expect additional costs from replacing the cleaning cartridges. These machines also differ in prices. You can get one at either a cheap or high cost. In as much as you would like to save, it is advisable to weigh the quality of different electric shavers against the price. Some high-quality shavers have numerous features that increase flexibility. The major brands in the market try to reduce the price points to make electric razor more affordable for the modern man. You can always find a good brand at a reasonable price. Do not forget to consider the cost of replacement blades and spare parts. Choose an electric shaver that has available and affordable spare parts to avoid incurring extra costs and getting frustrated. The best electric shaver for head depends on the type of skin you have and density of your hair. This means that what is ideal for one man may not be right for another person. You should, therefore, identify your needs for you to choose the right type. Though electric shavers differ, you should choose one that gives you a comfortable and close shave. Compare the different features in models and decide which features are the most important for you. Let our buying guide and reviews above help you make the right decision.